Yes, you read it right. Stampin' Up! are bringing us yet another fabulous offer on Monday 27th November. They are offering free shipping on Cyber Monday! 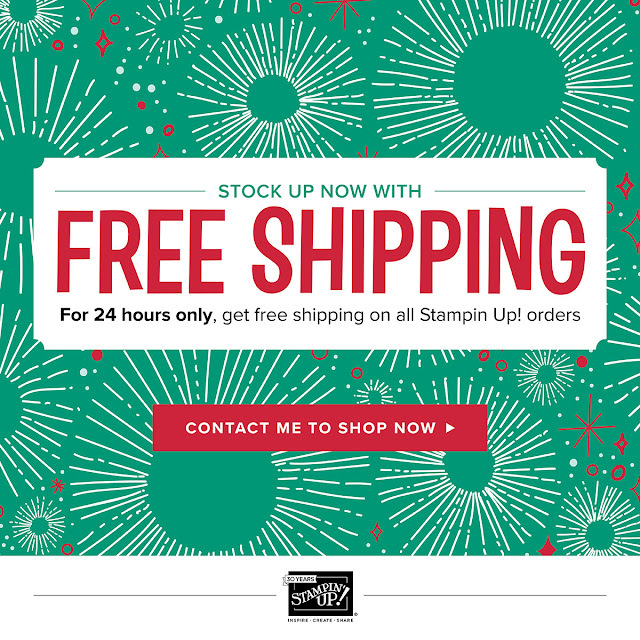 On 27th November, shipping is free for all Stampin' Up! orders. All customers will get free shipping for an entire day on every Stampin’ Up! order placed - no matter how big or small. With free shipping you get a great deal on any product! The FREE shipping offer begins at 11:00 p.m. (GMT) tomorrow (Sunday 26th November) and finishes at 10:59 p.m. (GMT) on Monday 27th. So if you are just running low on glue or there is a roll of ribbon you need to finish wrapping your Christmas gifts, then this is the ideal time to put that order in. And as a personal offer from me, every customer who shops with me, no matter what size the order, will receive a free gift from me, as a thank you, next month in the the post. So why not start now, putting together your basket of all the things you'd like so then you can just go in and click to check out on Monday? Don't forget that our "everything included" kits make great Christmas presents for anyone crafty - everything and more to make 20 beautiful handmade cards. 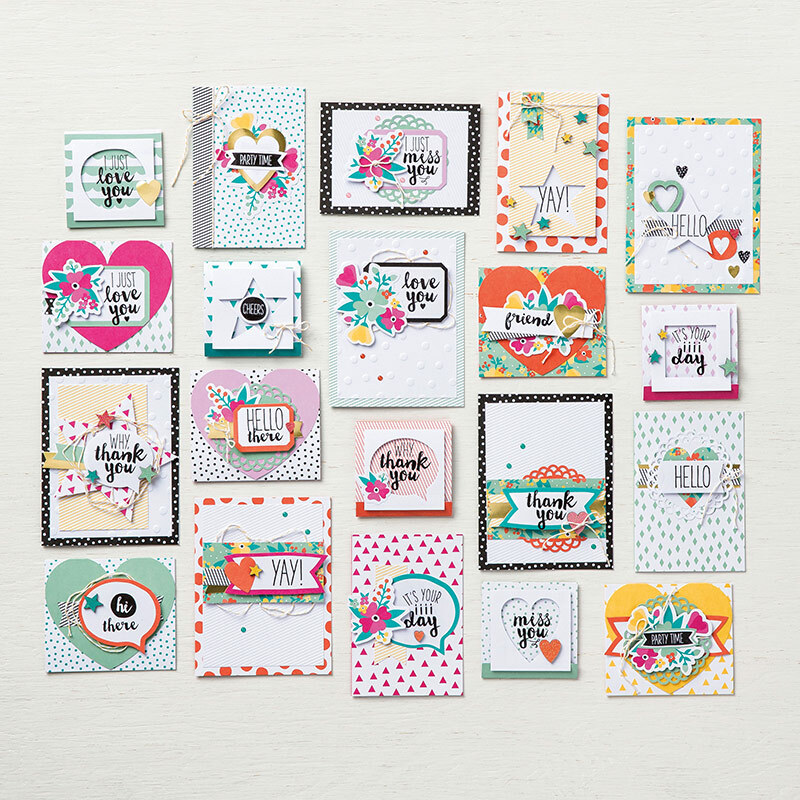 Soft Sayings Card Kit - £31.50 and FREE shipping on Monday. And also don't forget to check out the Clearance Rack - all these items are such a bargain anyway, but with FREE shipping they are even better value! I've added a few of my favourite picks from the Clearance Rack to the list below. 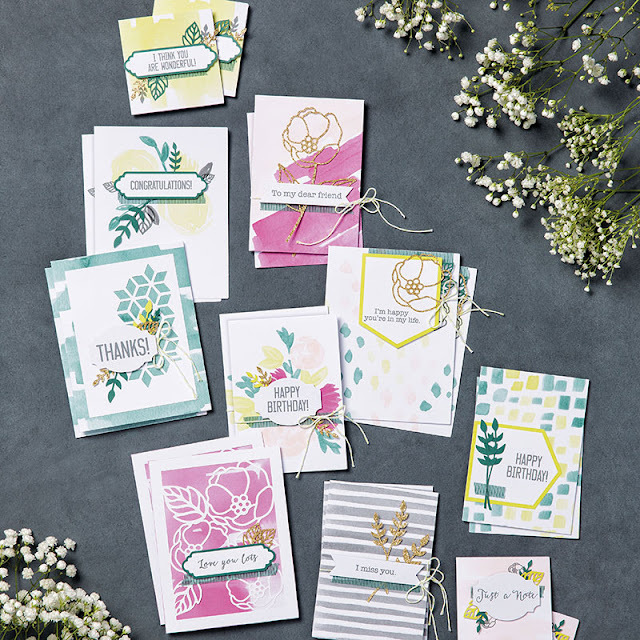 To purchase anything in my online shop, simply click "Shop Now" button on the top of this page or click any of the images below to go direct to that item in my online Stampin’ Up! shop. If you order from my online shop please use my monthly shopping code (below) to receive a free thank you gift from me as I really appreciate your business.